For decades, amateur filmmaker Bruce (Chris O'Dowd) has tortured his awkward brother Frank (Charlie Hunnam) with a series of embarrassing videos posted on the Internet. Bruce finally goes too far when he uploads a video of a disastrous one-night stand involving the inebriated daughter of a loose-cannon ex-movie star. To try to undo the damage, the brothers enlist the help of Bruce's transsexual computer-hacker buddy played by Ron Perlman in one of the year's most hysterically unexpected performances. The half-hour program from creators Mark A. Altman and Steve Kriozere features stories inspired by such noir classics as Double Indemnity and Pulp Fiction and classic thriller TV series like The Twilight Zone. In each stand-alone episode, women find extraordinary ways of coping with their problems, channeling their survival instincts and bringing out their inner guile. A story of devotion and human understanding set against a backdrop of political turmoil that continues today. Details of the epic and extraordinary story of Suu Kyi and her remarkable struggles to bring democracy to her country. Starring Michelle Yeoh and David Thewlis. Catch the action for the first time or relive the ups and downs that come with fame as Vince, Eric, Drama and Turtle take you on a whirlwind ride through the high-stakes world of Hollywood. The set is boxed in a stylishly cool, black casing and features all 8 seasons along with more than 6 hours of bonus content and is the first time seasons one through five are available on Blu-ray. 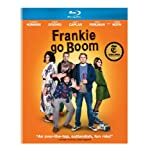 Continues to follow the adventures of Ben (Bryan Greenberg) and Cam (Victor Rasuk), two 20-something friends and entrepreneurs who aspire to making it in the New York City fashion world. With an appealing young cast, the hip, urban half-hour comedy takes viewers into the fascinating bohemian subculture of the city's downtown to find out just what it takes to make it to the big time. Final Season of the Emmy, Golden Globe and Peabody Award-winning Comedy Series. From executive producer and creator Doug Ellin and executive producers Stephen Levinson, Mark Wahlberg, Denis Biggs, Ally Musika and Rob Weiss, Entourage stars Adrian Grenier as Vince, Kevin Connolly as Eric, Kevin Dillon as Vince's half-brother Drama, Jerry Ferrara as his enterprising pal Turtle; and Golden Globe and three-time Emmy(R) winner Jeremy Piven as Vince's agent Ari. HBO has released an awesome video mash-up app that allows users to access clips, music and graphics to create their own mash-up videos paying tribute to the boys of Entourage. The best video will be featured on HBO.com and the official HBO YouTube channel! It starts out as just a typical day in the lives of seven high school students in a town that looks like Anywhere, U.S.A. But when one middle-American teenager - deeply affected by 9/11, terrorism and the war in Iraq – and his friends become involved in an isolated high school altercation, it escalates into a hate crime that shocks the entire nation and sends a small town reeling. Filmed at the Cort Theatre in New York City, Ferrell inhabits one of his favorite political characters from his days on Saturday Night Live, performing a 90-minute, one-man show that takes viewers on a semi-sentimental journey through the life, legend and legacy of the recently unemployed 43rd U.S. President. The Emmy®-winning HBO comedy series Entourage kicks off its 12-episode sixth season SUNDAY, JULY 12 10:30p.m. ET/PT at its new time, with episodes debuting immediately following the new HBO comedy series "Hung." Vince and the boys are back for more. Sure the show's formulaic, but each and every episode is still tons of fun.